Last night started out with dinner at the original Tony Packo’s on Front Street and was finished off by some T-Town Hockey! D. and I were joined by his parents, his brother & wife (currently living in Denver), and our friends S. and A. from New York City. What a fantastic night! 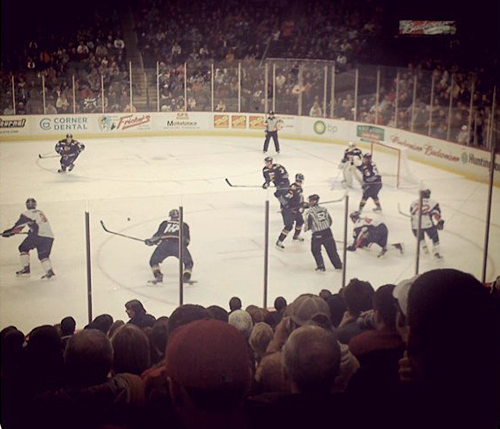 Both Packo’s and the Huntington Arena were packed full of entirely pleasant people, out enjoying themselves. Dinner was great, watching hockey was fun, and we really enjoyed knowing our friends from out of town were having a great time in Toledo.